Please join me in welcoming debut historical romance author, Amanda Forester to History Undressed today! 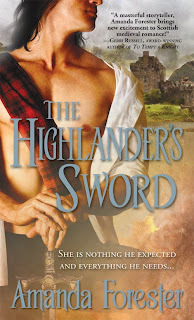 Her novel, The Highlander's Sword released earlier this month with Sourcebooks. Thank you for inviting me to join you today. I had great fun doing the research for my debut book The Highlander’s Sword. I have always been drawn to medieval times for its turbulent mystique, full of courageous and honorable knights. So romantic! Yet I also thought of the medieval period as being a dark and gloomy time. What I did not picture about the medieval period was a vibrancy of color. And yet as I did my research, I found that the 14th century was actually full of brilliant color. First let’s start with clothing. While peasants were forced to be content with their own home-spun wool garments, members of the gentry and nobility were drawn to bright vivid color. The cost of procuring those hues was often prohibitive to those in the lower classes, and even if a merchant came into enough capital to afford such raiment there were explicit rules on what people of different classes could wear, down to the length of the coat and the color of the garment. Using my beautiful cover as an example, the red plaid is good, but a “real” knight of this era might have chosen a more colorful tunic than plain white (and I doubt the Scots commonly waxed their chests – though I’m willing to be wrong on this!). Despite their armor, knights found many ways to enliven their attire with color. At first, the need was purely practical and arose from the need to identify friend from foe on the battlefield. Thus, the art of heraldry was born. Knights began to decorate their shields with charges or iconic devices that denoted their heritage. Vivid colors and ornate decorations were in fashion, and knights proudly displayed their heritage with identifying insignia. When these insignia were sewn onto surcoats or tunics the term “coat of arms” came into usage. 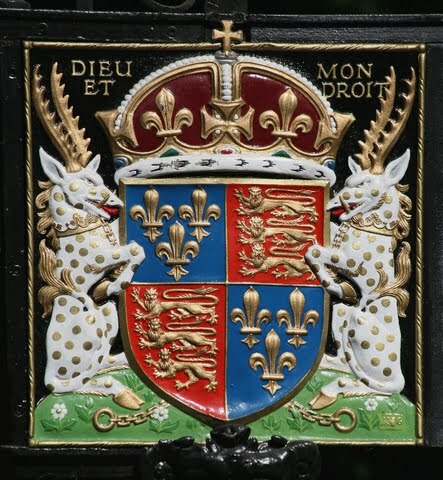 King Richard I was the first king to create a heraldic device. His choice of three lions is still the Royal Arms of England. Heraldic devices, flags, and pennants became an essential part of the pageantry of tournaments in which knights faced each other in staged combat. These tournaments were awash with color from elaborately decorated helms, to the draping of their horses in richly decorated comparisons, which were flowing horse coverings. Color was not relegated to the pageantry of tournaments. People of the medieval times loved color so much they put it on everything. The grey stone castle is an iconic image for this era, but back then a grey castle would have seemed drab indeed. If the lord could afford it, many castles were actually painted! The inside was no less brilliant with colorful tapestries lining the walls in bright colors. These scenes were often to remember glorious battles or the joys of the hunt (a sport enjoyed by both knights and ladies). The wildest example of the love for color during these times was in their food. Yes, food. Imagine pies with dyed heraldic designs on top, or an entire roast pig foiled and painted with a blue and yellow checker board design. The best was a dessert served after each course called a ‘subtlety’, which was marzipan (a paste made of sugar and almonds) richly colored and formed into shapes like people, animals, or even a model of the castle. I considered adding some color to my feast scenes in the book, but I thought readers wouldn’t believe it! What are your mental images of medieval times? 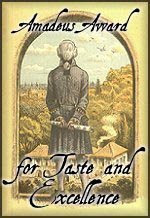 Amanda Forester holds a PhD in psychology and worked for many years in academia before discovering that writing historical romance novels was way more fun. She lives in the Pacific Northwest outside Tacoma, Washington with her husband, two energetic children, and one lazy dog. You can visit her at http://www.amandaforester.com/. I imagine Medieval times to be smelly...though I still consider it my favorite time period to study. We modern folk tend to take our mundane conveniences for granted, especially our sewage treatment. I can just picture London or Paris' dirty streets filled with all sorts of muck and grime, ick! On another note, I'd love to be entered for a chance to win this book! Thanks! Ooooh, can't wait to read this book!! Thanks for this post. Love the premise of your book *and your hook*. :) I'll be looking for it on the shelves. I've been a medieval fan for year and I'm so glad we've got more new writers taking it up. All the best of luck with this one--and your upcoming ones. I think I will laugh the rest of the day about metro-sexual medieval knights waxing their chests. It might be the funniest image ever! 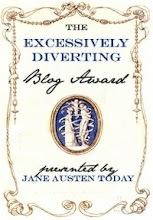 I'm honored to say that I just won a copy of your amazing (I'm sure) book on your First Line Contest at your blog! Woot! So, don't count me in for today's drawing. BUT...I had to stop by and read your post. Now, I simply cannot wait to get my copy of your book. 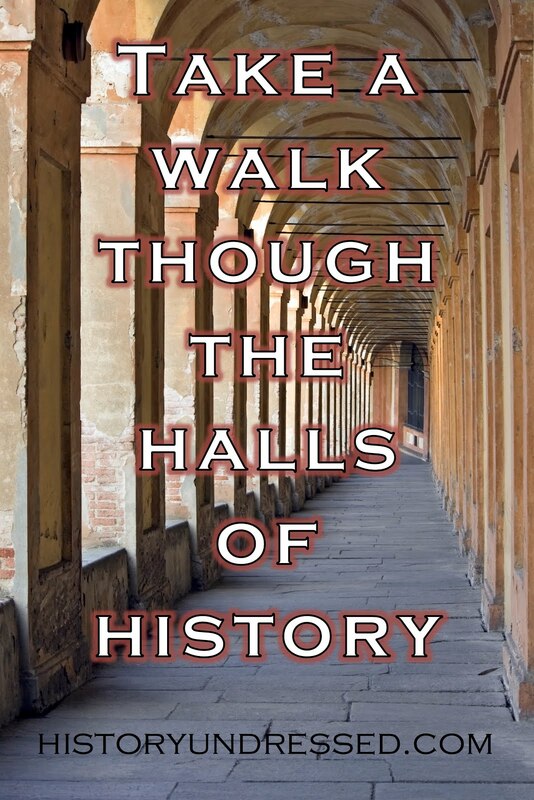 I love love love history. I believe that in romance novels it provides some of the absolute best escape from reality available in today's fiction. You wrote: "(I doubt the Scots commonly waxed their chests – though I’m willing to be wrong on this!)." Thanks for hanging out today at Eliza's blog (waving frantically at my best buddy Eliza)! Forgot to mention... thank you for visiting History Undressed!!!! Anytime you mention food, especially marzipan, or a subtlety, my ears perk up and I start salivating! I imagine that the aroma of food would make the coldest, draftiest castle seem a bit friendlier! This sounds like my kind of book -- hope it's not too late to win your book Amanda. Oh, and waxed or not-waxed? -- the question of the day! I never knew that colors were reserved for the rich or how the sewing of emblems came about. All of the post/interview was very interesting. Amanda, thanks for stopping by to chat today. I would love to win this book. Thanks..
Rita - I was surprised to learn about marzipan being used, since I think of it as a modern confection. But no, it actually has been around for a long time. Now about that age-old waxing question... I think some things are better left to the imagination! Until recently, I considered medieval times to be colored in grays and browns with splashes of color from the garments of the nobility. However, Several things I've read have added a bit more color to that image. Castles were whitewashed. Instead of a gray walled sentinel, you would see a gleaming white fortress with colorful pennants flying. Whitewashing and painting rooms inside would help brighten the rooms. I'm sure people at all levels would try to decorate and brighten their lives. It is the way we are, no matter what our social status. Hi Amanda! Just wanted to drop by and tell you that I recieved my copy of 'The Highlanders Sword,' today from Borders,and can't wait to tear into it!!! !